On Sale Now! 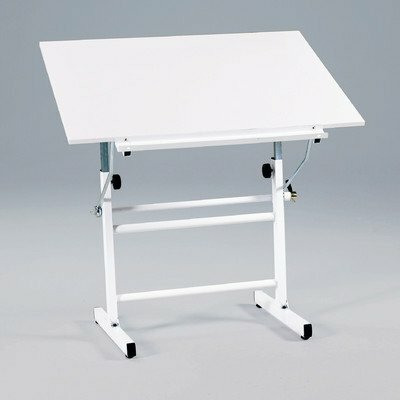 Save 8% on the Martin BelAire Neuvo Drafting-Art Table, White Base with White Top, 30-Inch by 42-Inch Surface by Martin at Stickman's Blog. SKU: U-DS3100C. MPN: U-DS3100C. Hurry! Limited time offer. Offer valid only while supplies last. BelAire Neuvo Table Base with White Top, 30-inch by 42-inch size. This popular model is easy-to-adjust drawing table tilts from flat to 90-Degree. BelAire Neuvo Table Base with White Top, 30-inch by 42-inch size. This popular model is easy-to-adjust drawing table tilts from flat to 90-Degree. Height adjusts form 28-1/2-inch to 33-1/2-inch. (Assembly required). If you have any questions about this product by Martin, contact us by completing and submitting the form below. If you are looking for a specif part number, please include it with your message.